Home > Transportation Reference and Training Manuals > > Figure 1-12. Punch Card Data (CC 21 Through 23). Figure 1-10. Punch Card Data (CC 15 Through 19). (manual TCMD) - cc 21-23 (punch card TCMD)(see Figure 1-12). Punch Card Data (CC 21 Through 23). 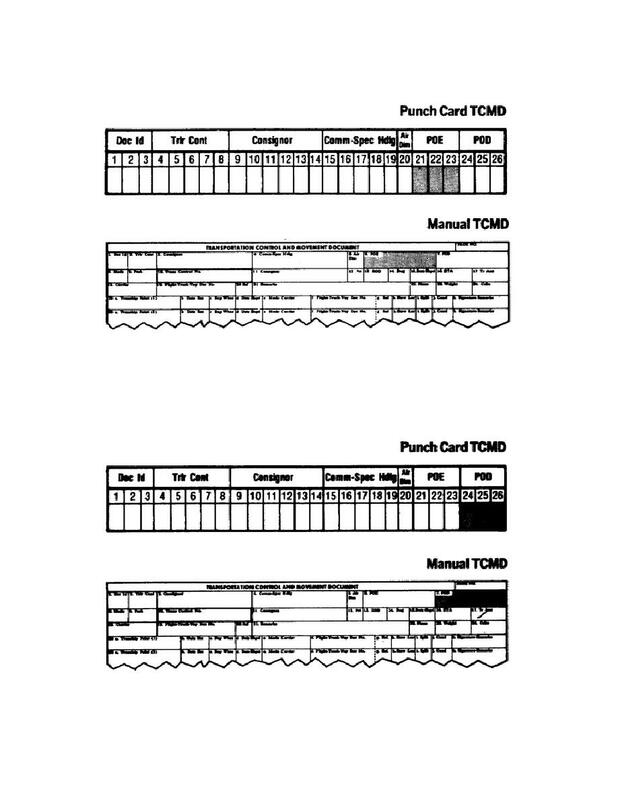 (manual TCMD) - cc 24-26 (punch card TCMD)(see Figure 1-13). Punch Card Data (CC 24 Through 26).